Multiplier – depends on circum­stances prevailing at date of trial e.g. Plaint­iff’s age, type of job, length of working life and length in which expenses are required. Earning Capacity: Type of job pre-ac­cident, the general employment situation for this type of job, the kind of jobs Plaintiff can hold at present or in future and the earnings he can command. Plaintiff was 9 years old at time of car accident. Became quadri­plegic who requires constant care. Life expectancy reduced to 38 years of age. What if there are multiple injuries? Whether the injuries are related to the same part of function of the body will be a key factor in determ­ining which approach is to be used. 11. —(1) In any action for damages for personal injuries, no damages shall be recove­rable in respect of any loss of expect­ation of life caused to the injured person by the injuries, except that if the injured person’s expect­ation of life has been reduced by the injuries, the court, in assessing damages in respect of pain and suffering caused by the injuries, shall take into account any suffering caused or likely to be caused to him by awareness that his expect­ation of life has been so reduced. (2) In subsec­tio­n (1), any reference to damages in respect of loss of expect­ation of life does not include damages in respect of loss of income. NO claim for "lost years"
(e) any person who is, or is the issue of, a brother, sister, uncle or aunt of the deceased. (e) where there is no other person by or for whom a claim can be made under this subsec­tion, any brother or sister of the deceased. (3) The right of a person to claim under this section for damages for bereav­ement shall not survive for the benefit of his estate. (4) S­ubject to subsec­tio­n (6), the sum to be awarded as damages under this section shall be $15,000. (5) Where there is a claim for damages under this section for the benefit of 2 or more persons, the sum awarded shall be divided equally between them (subject to any deduction falling to be made in respect of costs not recovered from the defend­ant). (6) The Minister may, by order published in the Gazette, substitute the sum specified in subsec­tio­n (4) with such other sum as he thinks fit. If the dependants have incurred funeral expenses in respect of the deceased, damages may be awarded in respect of those expenses. (b) 3 years from the earliest date on which the plaintiff has the knowledge required for bringing an action for damages in respect of the relevant injury, if that period expires later than the period mentioned in paragr­aph­ (a). (5) K­now­ledge that any act or omission did or did not, as a matter of law, involve neglig­ence, nuisance or breach of duty is irrelevant for the purposes of subsec­tio­ns (2) and (3).  (b) from facts ascert­ainable by him with the help of approp­riate expert advice which it is reasonable for him to seek. (7) A person shall not be taken by virtue of sub-se­ction (6) to have knowledge of a fact ascert­ainable only with the help of expert advice so long as he has taken all reasonable steps to obtain (and, where approp­riate, to act on) that advice. The object of this protocol is to streamline the management of personal injury claims and promote early settlement of such claims. It prescribes a framework for pre-writ negoti­ation and exchange of inform­ation.